Sydney: Was it a Freudian slip by French President Emmanuel Macron? A joke linked to French gastronomy? Or even, a week after his visit to Washington, a parody of President Donald Trump's infamous comments about Macron's wife? Whatever the case, Macron raised eyebrows in Sydney today by calling Australian Prime Minister Malcolm Turnbull's wife "delicious." Wrapping up a joint news conference during his brief Australian visit, Macron moved to thank the Turnbulls for their hospitality. "I want to thank you for your welcome, thank you and your delicious wife for your warm welcome," he said. 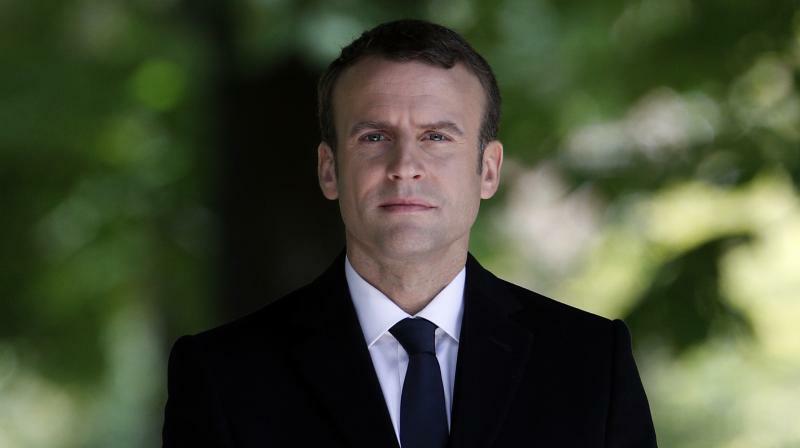 The comment quickly sparked some light-hearted reaction on social media and in the Australian press amid lively conjecture about the French leader's intent. "Macron just said he wanted to thank Malcolm Turnbull and his 'delicious wife'. You can take the man out of France but ...," tweeted Alice Workman, a journalist. Australian ABC News tweeted, "Lost in translation: Emmanuel Macron thanks the PM's 'delicious wife.'" Despite Macron's deadpan delivery, some observers felt he may have been making a joke. Turnbull had just mentioned Macron's imminent lunch with members of Sydney's French community, and had followed with comments about French gastronomy and wine. Pardoning generalizations about the French obsession with food, Macron minutes earlier had also been talking about shrimp, picking up on Turnbull's comment relating to China's growing influence in the South Pacific, when the Australian leader said that "big fish cannot eat little fish, and little fish cannot eat shrimp." Others felt Macron may simply have slipped up in his use of English, since the French word for delicious — delicieux — also translates as "delightful."